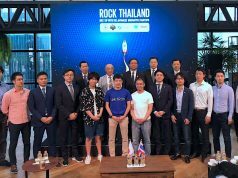 Eisai (TSE:4523) － a Japanese pharmaceuticals major － and Tokyo-based startup Mamorio, led by Daiki Masuki, announced that they have entered into an agreement to collaborate on development of the Me-Mamorio tracking tool to support people with dementia upon going out. A demonstration experiment aimed at implementation as well as development of Me-Mamorio will be held in cooperation with various stakeholders such as government, healthcare professionals and careworkers. The two Japanese firms aim to realize an environment where the community as a whole can look out for people with dementia. Me-Mamorio is a small tag which utilizes the short-range wireless Bluetooth communication standard. 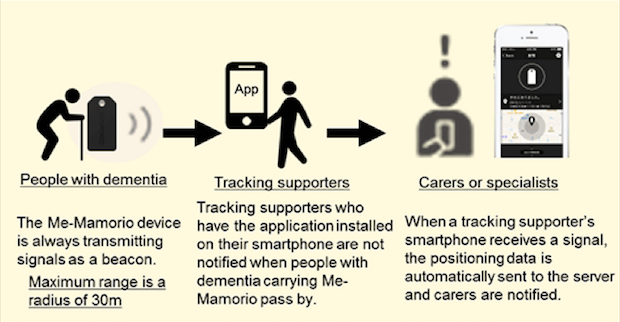 When dementia sufferers carry the Me-Mamorio tag pass, people in the community who have the corresponding application installed on their smartphones can help provide position data, which has been sent automatically to a server. Unlike the Global Positioning System (GPS), the system enables pinpointing of a civilian’s location (GPS primarily being for military use). This data is then automatically transmitted to careworkers, family members and other designated people. People in the community are not notified when dementia sufferers carrying the Me-Mamorio are nearby; however just their carrying a smartphone with Bluetooth switched on enables community-wide support to be offered so dementia sufferers may go outside with peace of mind safely. The strengths of Me-Mamorio are that it is small and lightweight compared to a GPS device, in addition to being easy to carry. The aim of Me-Mamorio is to enable people with dementia to preserve their dignity and allow them to go out freely in areas they are used to in relative safety. There are many reasons why dementia sufferers wish to go outside the home, such as having a strong need to do so or feeling much anxiety. According to the Metropolitan Police Department, of the missing persons reported to the police in 2015, 12,208 of these were people suffering from dementia. Ever since 2012 when record-keeping began, this number has been rising year after year. Of these, 150 people were still missing at the end of 2015. According to the Ministry of Health, Labour and Welfare, the number of dementia sufferers was approximately 4.62 million in 2012, and is expected to increase to about 7 million by 2025. 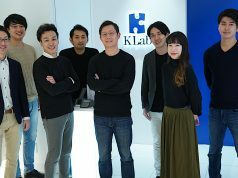 Leveraging the experience gained from the development and marketing of treatments for Alzheimer’s disease and dementia with Lewy bodies, Eisai has agreements signed with medical associations and local governments in some 65 locations nationwide, so is able to realize interprofessional collaboration among healthcare professionals, careworkers and others. These kinds of dementia-related knowledge and capabilities accumulated will be applied to the Me-Mamorio demonstration experiment and development. Under the slogan of “Forget about forgetting” Mamorio has developed as well as managed a number of products and services, including Japan’s biggest lost-and-found portal site Otoshimono.com. 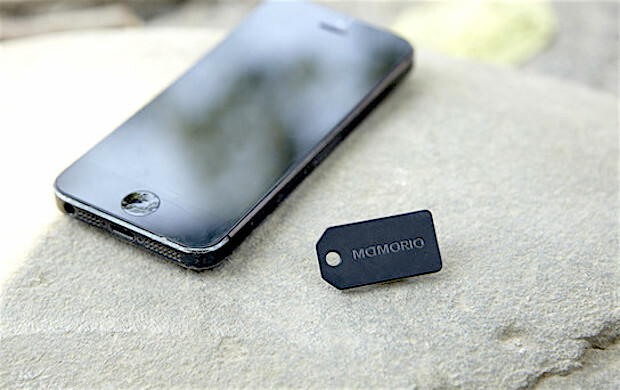 Additionally the company provides the world’s smallest IoT (Internet of Things) product Mamorio, a tag which utilizes Bluetooth that when simply attached to an important object; it can quickly locate the item if lost by using an alert and map displayed on a smartphone to receive information from a user-based smartphone crowdtracking platform. 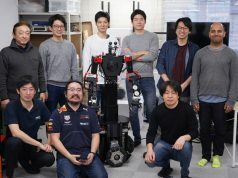 Mamorio will utilize the assets built up through these platforms in the demonstration experiment, not to mention development of Me-Mamorio.